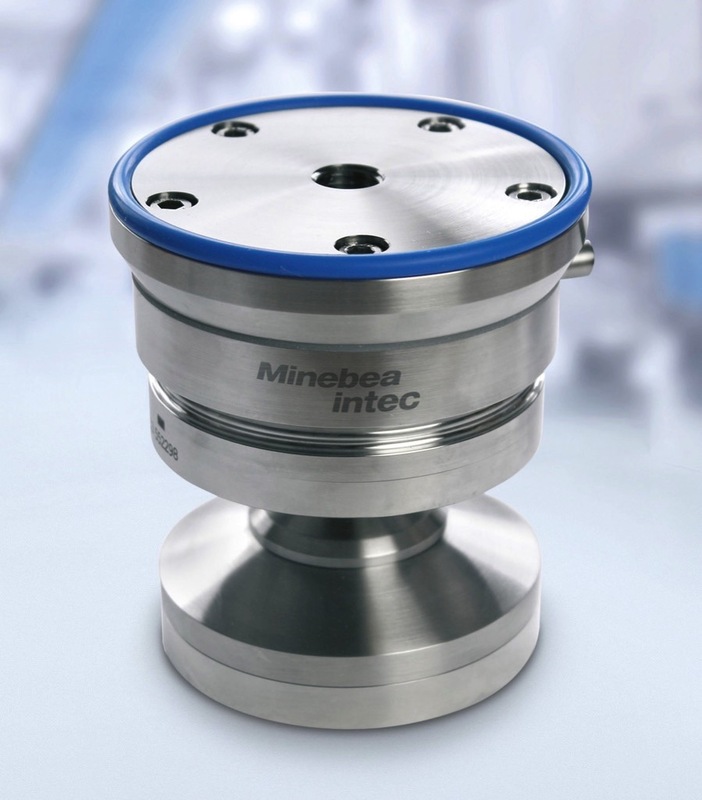 Hamburg, Germany – With the new weighing module, Minebea Intec provides an innovative, hygienic and robust solution for weighing containers. In addition, during development there was a focus on simple installation. The hygienically-designed, long-lasting weighing module is now recommended for a range of industries. Hygienic complete solution: The Novego weighing module is a load cell and installation kit in one. What distinguishes Minebea’s hygienic weighing module Novego above all is its overall performance. A variety of constructive details following EHEDG guidelines minimises soiling and provides an efficient cleaning process. Particularly noteworthy examples include the minimising of horizontal surfaces, low surface roughness or the use of FDA compliant silicones. Another plus for long product lifetime is, amongst other things, an extraordinarily corrosion resistant 1.4418 stainless steel that is new to weighing technology. The innovative product design along with the selection of high-quality materials makes Novego highly resistant to soiling, corrosion and aggressive cleaning materials. The integrated height adjustment, among other things, ensures particularly simple installation. Novego is also easy to install. The weighing module consists of three components: adapter plate, load cell and pendulum base. All three components can be individually selected from a range, according to requirements. There are innovative details to be found here too: the integrated 360 degree fixing makes incorrect assembly impossible and negates the need for time-intensive guide adjustment. The pendulum base is also available with integrated inclination correction for assembly on sloped surfaces. There is also integrated height adjustment of up to 8 centimetres to balance the container feet. The weighing module is especially suitable for use in the production of food, pharmaceuticals and cosmetics.